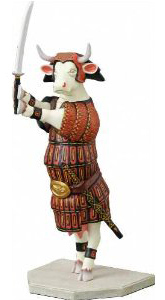 What is it with Spain and bulls? You’ve got to give kudos to Michael’s, the art & craft supply store, for keeping kids busy and creative in the summer. 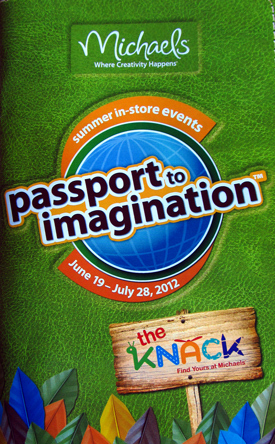 Once again, they’re inviting them to come over and make things out of their own hands with the”passport to imagination”. 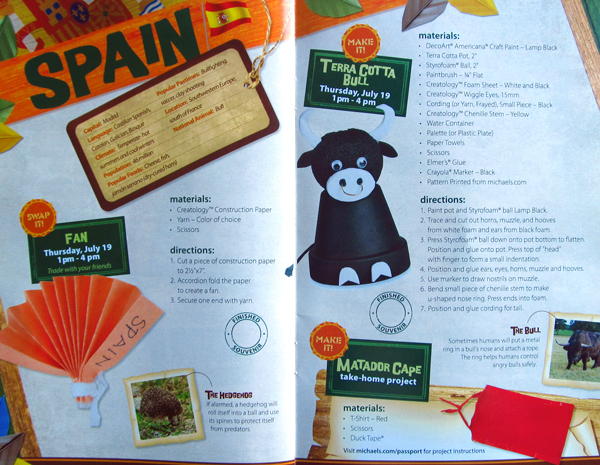 Each week you can visit the store and create crafts representing various countries of the world. For example you can make a gecko lizard and a monarch butterfly for Mexico, the Chilean flag and an alpaca puppet for Chili, etc. You can’t blame Michael’s for mentioning bullfighting as a “popular pastime” in Spain. After all, the passport tells me Spain’s national animal is the bull and bullfighting is still a legal activity over there. Still, someone should tell Spain it’s 2012. 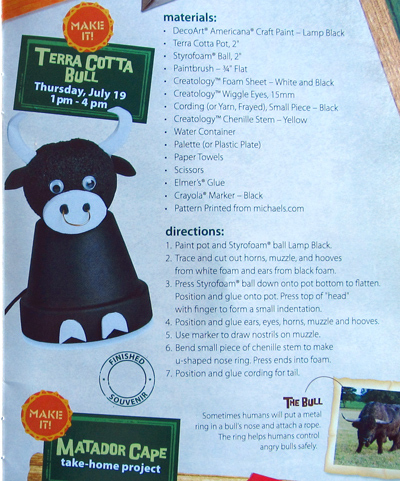 Oh well, at least it makes for a cute craft activity, since you can create your own terra cotta bull, nose ring included. Toro, toro! 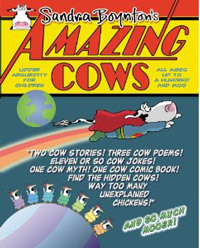 Previous Post Are you ready to see Lady Gaga milking a cow?